Timothy Shriver: Special Olympics survived Betsy DeVos' attempt to axe our school programs. Here's what we do for America's kids. Timothy Shriver Special Olympics survived Betsy DeVos' attempt to axe our school programs. Here's what we do for America's kids. Our programs in schools combat bullying by bring all students together through sports and other extracurricular activities. When Education Secretary Betsy DeVos explained to a House subcommittee on Tuesday that the Trump administration wanted to eliminate federal funding for Special Olympics — specifically for education programs that support students with intellectual disabilities in school sports and the classroom — under heated questioning from Democrats, the moment went viral. But, after a day and a half of social media uproar, we learned on Thursday afternoon that the president would direct the department not to gut the funding after all. Even though this moment was unsettling for us — Special Olympics has no partisan identity, and no appetite for political combat — we do welcome the spotlight that the events of this week has shone on the amazing programs that Special Olympics athletes and their friends have built, with, yes, federal support, in schools across the country. We call those schools Unified Champion Schools. They are a new way to promote values like unity, cohesion and tolerance, at a time when this country badly needs a new direction, away from division and hate. Schools that earn the designation work not only to promote equality and dignity for students with intellectual disabilities, but also to change their cultures, to improve school spirit and social cohesion for all students, faculty and staff. 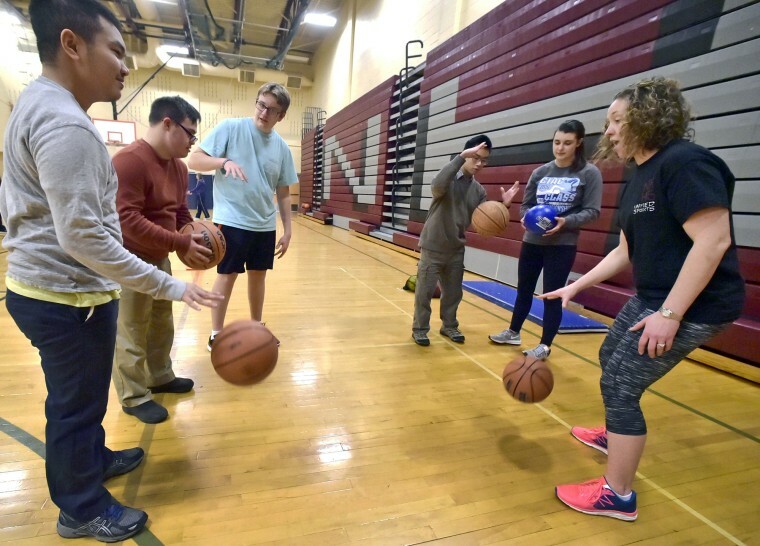 The most visible of these efforts is Unified Sports, where students with and without intellectual disabilities play together on the same teams. But our programs go beyond that: Unified Champion Schools’ programs of inclusion extends to student clubs and other school or community-wide initiatives. It turns students with intellectual disabilities into youth leaders. And it fights back against the bullying and ostracism and other injustices that have forever been thought — mistakenly — to be inescapable parts of school life. In other words: The Department of Education was never giving Special Olympics money for Special Olympics games, but for the programs our organization provides every day around the country in schools. The federal government — in principle anyway, if not always in practice — has committed itself to inclusion for disadvantaged people since its founding, and it needs to stay in this game, particularly where people with intellectual disabilities are concerned. These are our children, siblings, neighbors and friends, who still stand at society’s margins, and who have been left behind despite wave after wave of social advancement for other groups. Bullying, humiliation, discrimination, isolation, a lack of educational and employment opportunities — these are everyday realities for millions of our students and athletes. Their inclusion is a matter of justice, and justice is a federal priority. It’s a priority reflected in the law. Since 1965 — from the Elementary and Secondary Education Act and through today’s Every Student Succeeds Act, enacted in 2015 — the federal government has worked to ensure that disadvantaged students have the social and emotional support they need to succeed. Title IX, in 1973, sought to guarantee equal access for all students to sports. And the Americans With Disabilities Act of 1990 called for full protection of all people with disabilities, including those in schools. Special Olympics is advancing these long-established federal goals on many fronts at once, through our Unified Champion Schools. And Unified Sports doesn’t supplant existing sports programs in schools — there are still girls’ and boy’s teams for the strongest athletes to shine, as always. Our program exists on top of those, providing a new opportunity for young people who would otherwise have to watch from the stands or, at best, warm the bench. Why shouldn’t these athletes also have their chance to wear a uniform, to try for a trophy, to sweat and struggle in workouts and scrimmages and join in the group hugs and team pizza? What use are school physical education programs if entire groups of students are left out? Inclusion and tolerance can be taught, and Unified Champion Schools programming is the proven lessons that work. They measurably change attitudes and behaviors. In surveys, 94 percent of teachers and school staff at Unified Champion Schools say the program increases opportunities for students with and without intellectual disabilities to work together. The same percentage of teacher liaisons say that Unified Champion Schools reduce bullying, teasing and offensive language. Almost 80 percent of students who got to know a student with a disability through Unified Champion Schools said they considered this person to be a friend. In 2018, the federal Education Department supported 6,500 Unified Champion Schools. Without that funding, 272,000 students — including 112,000 students with intellectual disabilities — would not have been able to participate in Unified Sports. Another 147,000 students at those schools participated in inclusive clubs, gaining critical skills in social and emotional development and leadership. When you count the times these students interact with the larger populations at their Unified Champion Schools, the number of resulting “social-inclusion experiences” expands into the millions. We calculate that Unified Champion Schools affect the lives of nearly 3 million students a year. And the number is growing: We expect to reach 7,500 schools by the end of this school year. By the time funding for fiscal 2020 begins — the money initially slated for elimination in Secretary DeVos's initial budget proposal — we expect to have grown to 8,500 schools or more. Meanwhile, the concept is spreading overseas, to governments around the world — most recently the United Arab Emirates, which was host this month to our World Summer Games in Adu Dhabi. The U.A.E. has pledged to make every one of its schools a Unified Champion School. At a time when everyone agrees that we are drowning in partisan anger, a nation at one another’s throats, hundreds of thousands of young Americans with intellectual disabilities, playing and living unified, are pointing us in a completely different direction. They are the leaders, teaching us, all across the country — at Ponaganset High School in Rhode Island, Northport High School on Long Island, N.Y., and Macatawa Bay Middle School in Holland, Mich., Secretary DeVos’s hometown. School by school, team by team, Unified Champion Schools are turning the United States into a de facto leader in overturning and overcoming one of the world’s biggest problems — the fear of difference. And it does all of this for a tiny portion of the federal budget. For $17.6 million in the fiscal 2020 the Education Department can continue to support the eradication of bullying, loneliness, isolation and exclusion. It’s a great, largely untold story, one we are grateful to be part of. Timothy Shriver, PhD., is the chairman of the board of Special Olympics.